The Hosts file of running Cloud Load Generators can be modified in the Online Cloud Console with the Load Generators > My Cloud sessions command. The default My Cloud sessions screen is displayed. Selecting "Running" in the Session Status drop-down list, then clicking on the Search button makes it possible to display the list of the running sessions. For a selected running session, a click on the Edit command displays the My Cloud session / View session screen. The Hosts file field makes it possible to specify the content of the hosts file for the Load Generators. The file defines the IP addresses associated with the names of the application servers to test. A click on Update makes it possible to configure the Cloud Load Generators accordingly. Enter your E-mail and Password. Click Sign-In. 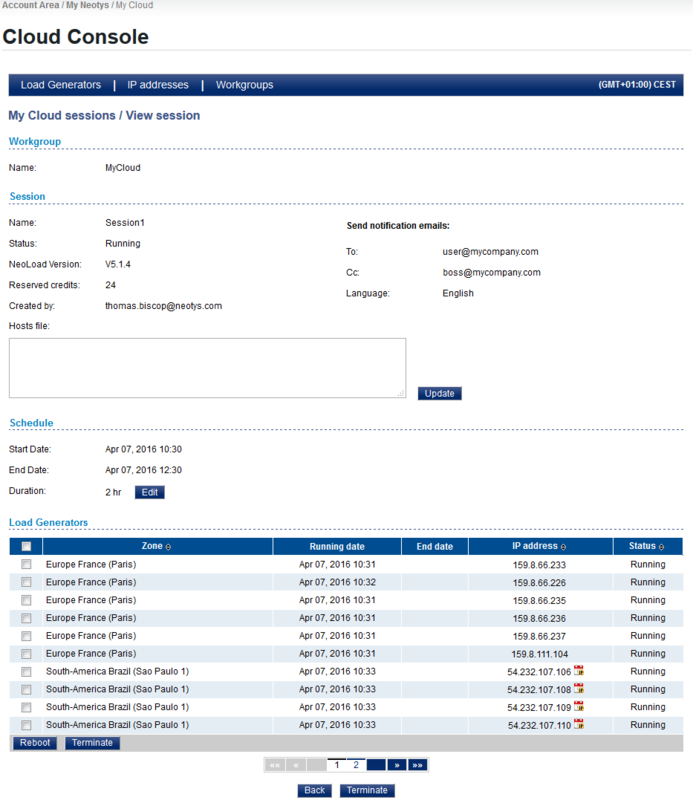 The My Cloud sessions screen is displayed. In Session, select "Running". Click Search. Select the running session to modify. 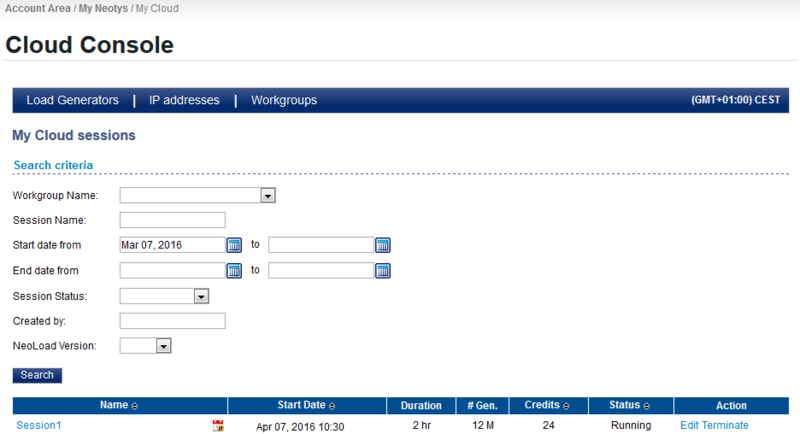 The My reservations / View session screen is displayed. In Hosts file, enter the IP addresses of your application servers.